CHERRY HILL, N.J., July 16, 2013 The Subaru PUMA RallyCross Team returned to competition in the USA after overseas Global RallyCross (GRC) rounds in Barcelona and Munich. The fourth round of the GRC was held Thursday, July 12th at New Hampshire Motor Speedway on unique course using part of the track's oval and pit lane while including dirt, tarmac and a jump. The team's development of the Subaru STI Rallycross cars in the off-season began to pay dividends in New Hampshire where Team leader Sverre Isachsen qualified 3rd Overall and both he and teammate Bucky Lasek were able to progress to the Final. Reaching the Final for the second time in his burgeoning Global RallyCross career Lasek put forward his best performance to date. In the Last Chance Qualifier race Lasek pulled off an impressive late race pass to finish 3rd and move to the Final. Then in the Final Lasek ran in 5th Overall for a majority of the ten lap Final. Just a few laps from the finish however a foreign object entered his engine bay and terminally damaged his engine on his 600hp Subaru STI. "I drove the wheels off my Subaru here and it was great to be running in the top five," explains Lasek. "What happened was very unlucky but anything can, and does, happen in Rallycross and this just makes me even more eager to get to the next round in Bristol (Tennessee)." Isachsen had a strong qualifying run, setting the 3rd fastest time and advanced to the Final with a second place finish in his Heat race. In the Final however Isachsen's Subaru got a poor start dropping him to the back of the field, forcing the Norwegian to battle through the field to a 6th Overall result. "I enjoyed the car here, we had a small issue at the start in the Final but overall we were able to run strong and we just need a clean run now to get the results we know we can achieve." Subaru driver Dave Mirra had an event fraught with bad luck as a freak mechanical failure in his first heat race knocked him out of contention. Mirra's confidence was buoyed however by setting the fastest lap time in the first timed practice. 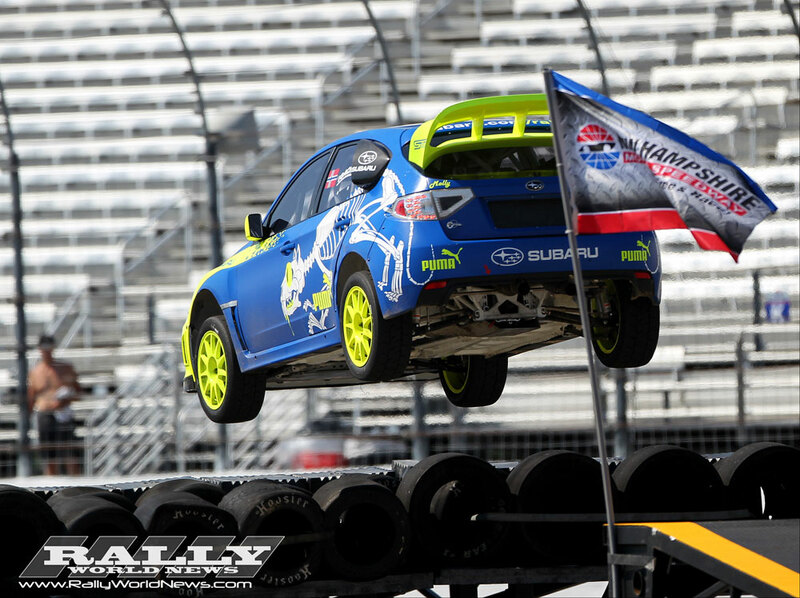 The Subaru PUMA RallyCross Team will now take their Symmetrical All-Wheel Drive 600hp 2013 Subaru WRX STI Rallycross cars to Bristol Motor Speedway for round 5 of the 2013 Global RallyCross Championship. The event will be broadcast LIVE on ESPN July 20th at 1:30pm ET.